Why is It Good to Move Homes Often? You have a dynamic and well paid job that requires your presence at different places in the country or even the world. You are independent and you are ready to do whatever is necessary to keep your life going in the direction you want it to. It may mean you are a rolling stone. Well, it is not the 1950s already, and such things are not only well accepted in our society, but they are actually widely encouraged by the majority of people, because of the alternative and extremely fascinating lifestyles they present. You may just be looking for yourself. In some transitional ages, for example right after graduating from college, or after a personal drama like a divorce, one might feel the need to constantly move from one place to another. This is not something bad, because the change of scenery helps with coping with pain and would definitely help you put your life back in track. If you feel that is the case with you, just remember to be vigilant not to miss the moment when you have to actually stop, warn the specialists. You constantly meet new people. In the past one of the most negative effects of home removals was that you lose touch with the friends you leave behind, but in the digital age communication and even travel are so easy that this is no longer a serious factor. So why don’t take the opportunity to meet and get to know even more people. Staying in different places widens the circle of your consciousness, because every place comes with its own peculiarities and interesting sights, history and culture. 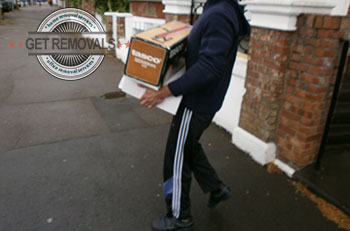 This is particularly true if we are talking about international home removals, but let’s face it – even the districts within London are usually so different from one another that you may feel like you have just found yourself in a whole new world. You continuously develop yourself as a person and get the vision of your future clearer. How else would you know where to go next?